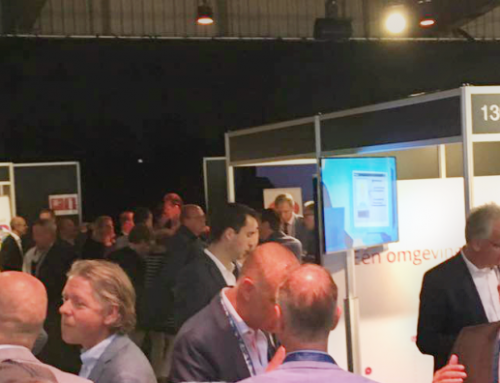 The VNG Annual Congress 2017 took place in Goes on 13 and 14 June. Council members, aldermen and mayors from all over the country got together to get to know each other – with ’Professionalism’ as the overarching theme. Key words such as ‘local attention’, ‘regional cooperation’, ‘interaction’ and ‘adding public value’ are more topical than ever within municipalities. Society is changing and citizens have different expectations. Changing expectations in the field of communication with citizens is where Livecom comes into play. There’s a reason for Livecom to participate in the VNG conference. We believe that we can add value by sharing our knowledge in the field of communication with citizens. We have been working together with various municipalities, such as Midden Drenthe, Den Haag and Drechtsteden Service Provision for some time now. We are a partner in the field of customer contact. Together, we have already built some good cases surrounding Chatting with citizens. We have our own stand at the VNG conference. Do you have any pressing questions? Want to brainstorm? Curious about our practical experiences and learning points? Livecom’s Patrick van Eijl and Han Beukers are happy to talk to you. Visit us at stand number 136. Are you involved with customer contact, but don’t have the time or opportunity to visit us at the VNG conference? We are happy to invite you for a unique inspirational session, developed for municipalities – in scenic wooded Soesterberg. We’ll bring you up to speed about the possibilities and pitfalls of deploying text messaging channels such as Chat and Facebook Messenger. Would you prefer make a personal appointment with us to talk about customer contact? Please call us on +31 88 5483200 or chat with us via Facebook Messenger or on our website. You can of course also send an e-mail to sales@livecom.com.